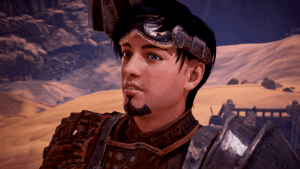 Games from 2018 have been numerous, incredible and there have been more than a couple that offered vast amounts of territories, quests and achievements to be unlocked. With beautiful lands to explore and plenty of items to loot, it’s tough to remember a year that gave us such a big amount of interesting content. There are a lot of them from 2018 that enticed us and captured us during immense periods of time. Here are 4 games from 2018 that gave us more than 100 hours of story, gameplay and fun. 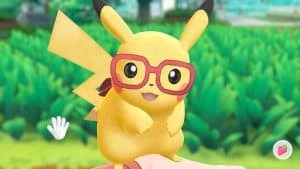 Game Freak’s Pokemon Let’s Go Pikachu and Pokemon Let’s Go Eevee were a late release that a lot of people (who have a Nintendo Switch) have bought and taken advantage of in 2018. The game has a fun and interactive experience that offers a lot of hours of gameplay, in true Game Freak fashion. With more than 20 hours from the main story and over 15 hours extra for side quests, you can definitely dedicate a lot of time trying to get the bad guys beaten. Add to that extra content at the end of the game, and then easily you can spend over 60 hours trying to finish everything. There are 151 Pokemons in the game, without including Alolan versions and Mega Evolutions (Yes, there are Mega Evolutions!). This means that if you caught them all, then chances are that you spent quite a lot of time doing it. Add in the training master system and the ambition to beat them all and that takes you to at least 80 hours. Oh, and have I mentioned that there are Alolan forms and shinnies? Yes, if you want to catch those shinnies that very few people have, then you probably have to spend more than 100 hours doing it. For all those who have already done it, my question for you is, can I do it to please? Assassin’s Creed Odyssey has been released on the 5th of October and unfortunately, it was overshadowed, for me, by another earlier release in the same year (I’m talking about Spiderman). Even though I didn’t play this game, I have seen that it had a lot of praise. I even had a few people coming to me and telling me to try it out because it actually is a great game in the series. But I stuck to Spiderman and finally, I have played only 13% from it and Assassin’s Creed Odyssey still kept receiving praise and people still kept coming to me. 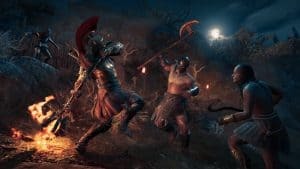 Ubisoft’s game offers a compelling main story that is going to keep you engaged for more than 30 hours, and if you want to do the side-quests, get ready to have that time almost doubled. Odyssey lets you play whichever way you want, and that means that you can try the game more than once to see how stuff like dialogue and other NPC’s turn out. Take into account the fact that you can play as both a male and a female during the game, then it probably means that you’re going to have to have a second run after you finish the game. I’ll put that into the 100-hour mark, and it’s definitely on my to-play list of games from 2018 after I’m done with God of War (it’s a long story). An early release in 2018, Monster Hunter World was a new name for me. I had never heard of it or of its predecessors and when I saw it, it drew me in a little. And then a little. And then a little more, until I was standing on my couch giving it a try for the very first time. I have to say that it is a great game. It is a game for everyone who wants to try mounting a big Dinosaur or hunting it and trying on new mechanics. I was amazed by how much content this game had. It’s not the 4th most sold Playstation 4 game for nothing. CAPCOM has created the game so that you need to fight certain monsters before getting the gear to fight other bigger, terrifying and mo re powerful monsters. And that kept me going. It’s one of the games from 2018 I spent well over a couple of weeks playing, although I got nowhere near the end-game. You can spend well over 100 hours sunk in this game and make it only to the middle of it. With over 200 hours of content available, you can be sure to sink in a couple of more weeks than I did when I played. I remember back in 2018, in August, when PlayStation Plus offered Just Cause 3 and Assassin’s Creed Freedom Cry for free and thinking: “Hm, I should give Just Cause 3 a try”. Well, I had a blast. And Just Cause 4 did that and more. 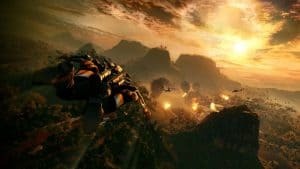 Released in late 2018, Just Cause 4 came with even more explosions and gliding than before. Now, I see that hasn’t received so many praises, but I don’t care. I still want to play. The story has over 10 hours of gameplay and another 15 with side quests. And if you want to complete it, then you’ll have to play well over 45 hours to do it. Compared to the other games, it’s a walk in the park. But that’s not where the beauty lies in this game. The first few hours in Just Cause 3 I spent them gliding, attaching cows to rockets and blowing stuff up. Totally unrelated to the main story. Or, as a matter of fact, I did NOTHING related to the story of the game. Yet I still enjoyed playing it and spent quite a couple of hours in it. This is how I expect to play Just Cause 4. Ignore the main story completely, glide across the map, and blow out everything. 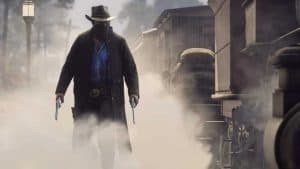 Red Dead Redemption 2 is the game that received the big honorable mention. The game was released October 26th last year and received nothing but praise. Even now, people are playing it vehemently. And I have a feeling it’s going to be played for much more time afterwards. I have not played it yet, but it is a game from 2018 that I put on my to-play list. Be sure to check out our other articles from GadgetGang. These are 4 games from 2018 that gave us more than 100 hours of story, gameplay and fun. I know I missed a lot of them. But please tell me in the comments which of the 100+ hours of gameplay game have you played and enjoyed? Hi! I'm Alexandru. I have been a gamer since I was a little. I have split my time between playing games and going to school. Recently I have been playing a little bit more casually and I enjoy watching games and keeping up with trends and news around the gaming industry!